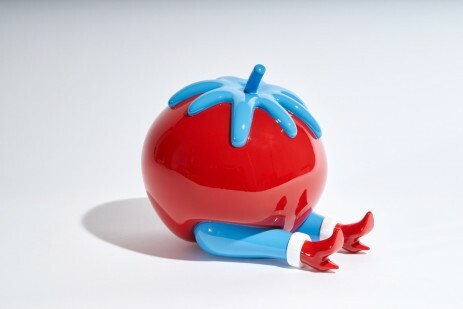 ‘Please Give Up’ the typical hybrid fruit and vegetables figures are once again available after our collab with Parra in 2009 of the dancing pear ‘Pop Fruit’. 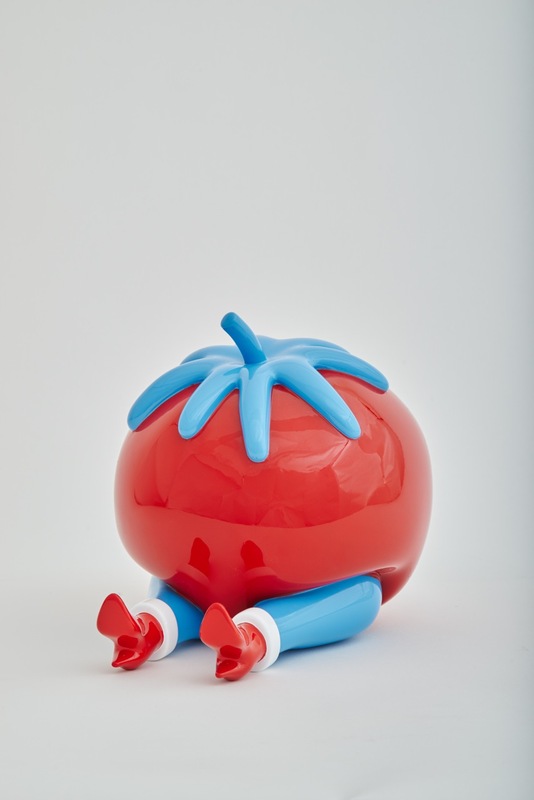 This time the iconic figure is presented as a playful object that captures both the strength of his color palette, a perfect match of poppy red and blue, and his hybrid tomato figures into a Parra classic pop art sculpture. 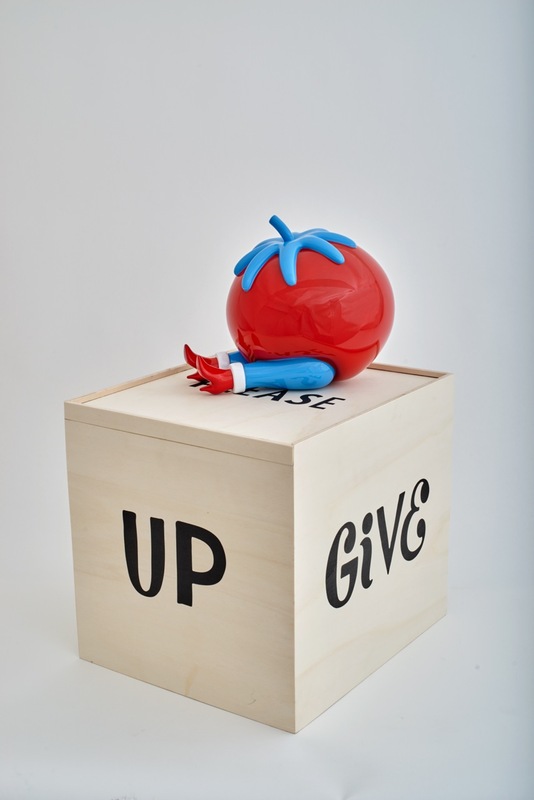 Packaged in a screen printed wood box with a signed and numbered certificate of authenticity by the artist.